There is perhaps nothing as warm and inviting as a log home for escape from our hectic, fast-paced lives. 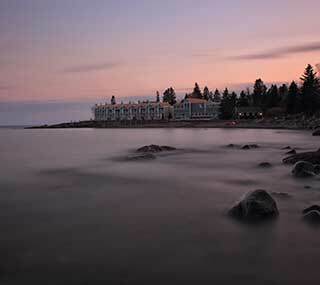 Place it on Lake Superior’s North Shore and you’ve got the perfect destination for family vacations, a couples’ retreat or friends’ getaway. Temperance Landing is nestled on the edge of Lake Superior and set against the backdrop of the Sawtooth Mountains in Schroeder, MN. 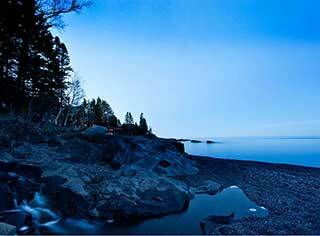 And yes, it gets its namesake from nearby Temperance River State Park. Two-and-half-story vaulted ceilings, Ponderosa Pine log walls, a grand ledgerock stone fireplace, plush beds with custom bedding, a whirlpool tub, granite and tile shower, a big porch overlooking the lake, and incredible Lake Superior views – all beckon you to relax, enjoy and unwind. These 3,000 square foot, distinctive log homes on the edge of Lake Superior’s shoreline offer three levels of style and space, sleeping six to eight comfortably. They’re perfect for family vacations, holidays or a friends’ getaway. Did we mention the views? !